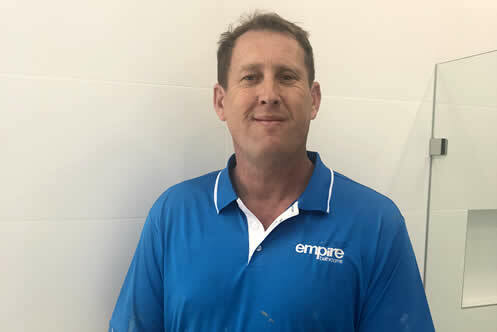 Darren joined the Empire Bathroom’s team in early 2018 as an experienced Plasterer / Gyprocker. Having ran his own plasterboard business for over 25 years, he brings a wealth of experience to the Empire Bathroom’s team. Away from work, Darren resides on the Central Coast and enjoys the laid back coastal lifestyle.